Tube bending is a craft often required to bend metal tubes and bring them to customized shapes for performing a number of important functions. They are required by various types of industries, such as aerospace, construction, military and furniture sectors. 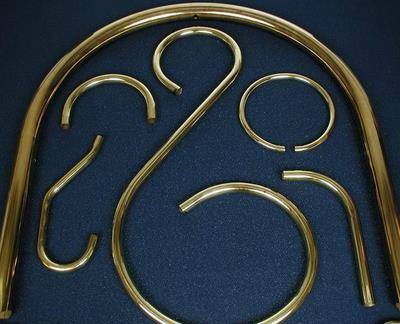 We provide tube bending of ferrous and non-ferrous materials such as steel, stainless steel, aluminum, copper and brass. We are capable of handling both high volume production runs, and small orders. Some of our most common products include furniture frames, dipstick tubes, tubular legs, lifting handles, display racks, spreader frames, pull handles as well as bleacher end rails and we serve a number of industries, such as agricultural, military, medical, automotive and aerospace sectors. At AWC Industries, our prime goal is to provide our clients with the best range of finished goods that will serve their purposes, and it is this unflinching insistence on quality and good customer service that has made us industry leaders.